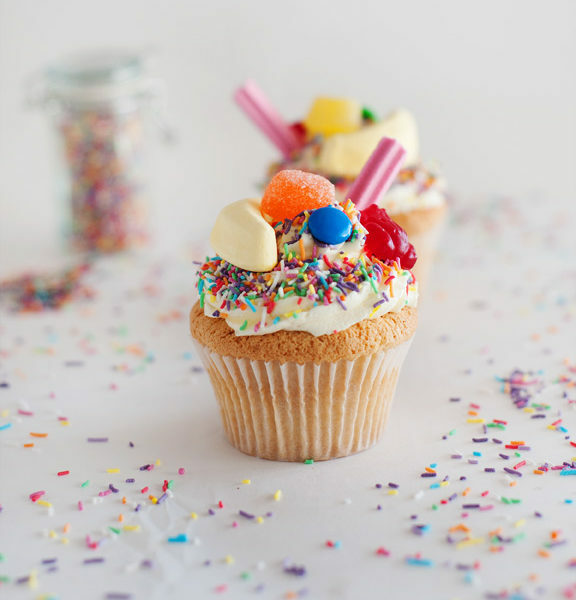 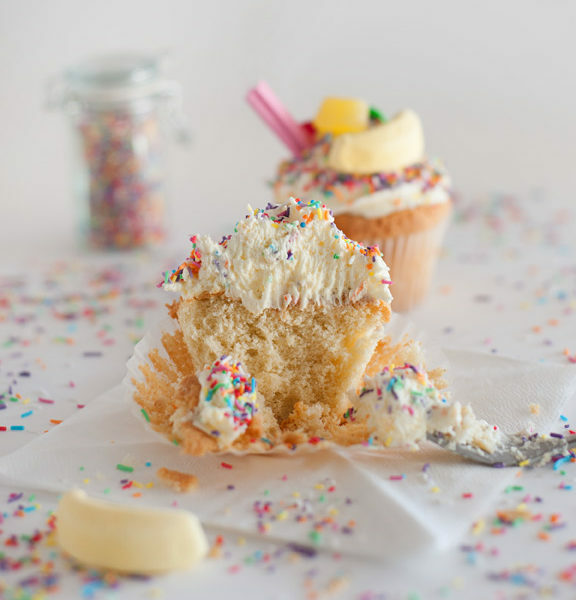 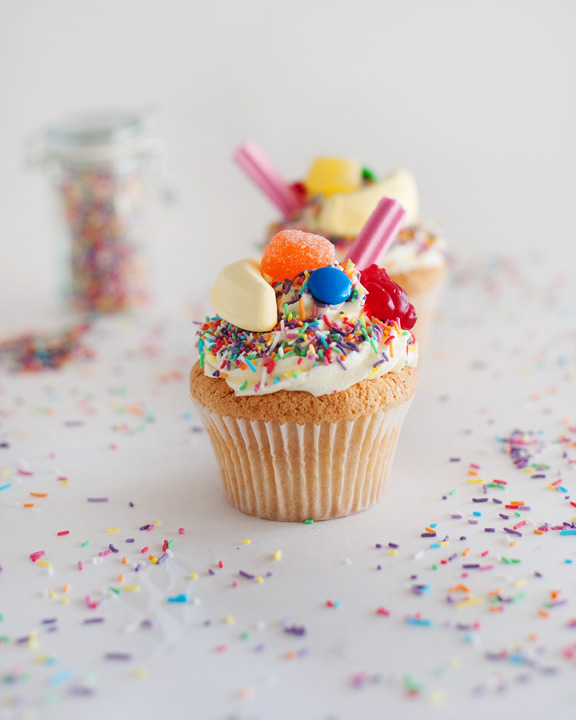 A delicious vanilla bean cupcake topped with fresh buttercream frosting with sprinkles and lolly delights. 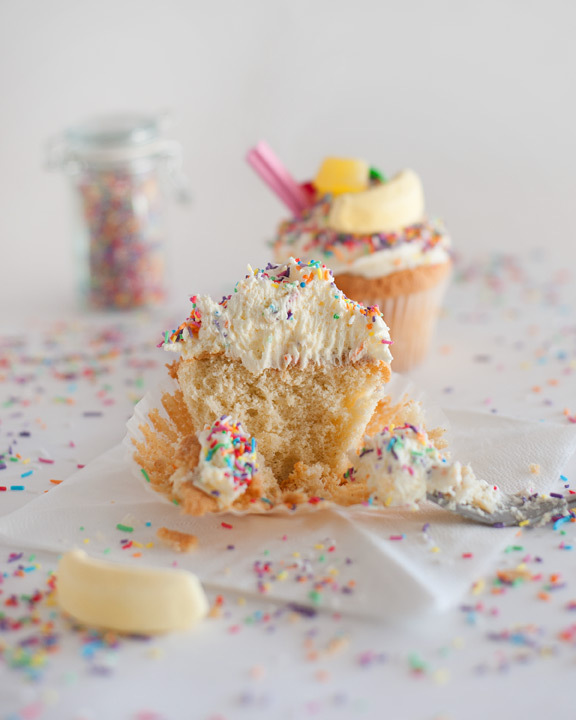 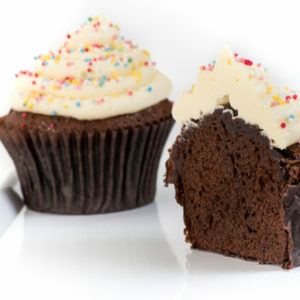 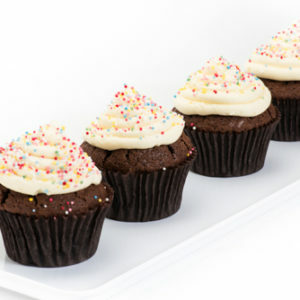 Mini Rich lindt chocolate mud cup cake covered in delicious buttercream frosting and dusted with sprinkles, YUM. 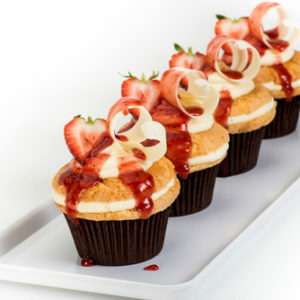 Light and fluffy cupcake filled with a fresh strawberry jam and fresh vanilla cream, topped with white chocolate curl, strawberry and a strawberry drip. 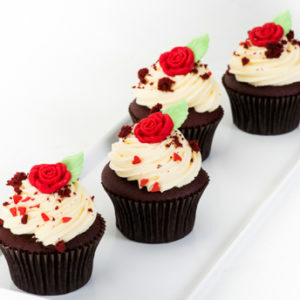 A delicious red slightly chocolately cupcake, finished with cream cheese frosting, topped with fondant roses.